Workshops offering Chinese cultural enrichment. Award-winning artist Chiao Bin Huang provides Chinese culture workshops for children in the New England area. These workshops provide an artistic and fun introduction to Chinese Culture and help the students build confidence in learning about the new culture. Students are fascinated by artistic and beautiful Chinese characters. They learn to recognize some of the characters from ancient writing. This is a great way to introduce students to Chinese culture and gain respect for cultural diversity. "Paper cutting is a fabulous art that gives a unique feeling of sensation out of seeminglly ordinary paper. I felt a lovely sensation cutting out plain old paper to create an unbelievably fantastic new design, filled with the brilliance of the art of paper cutting. 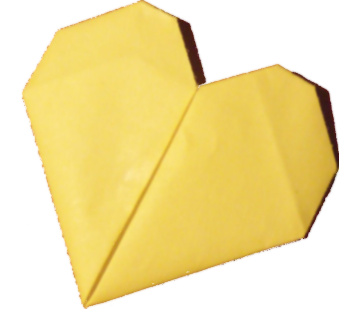 It really makes me feel good to create a beautifully gorgeous paper cut out of ordinary paper." Children learn about other cultures and countries by hands - on activities. 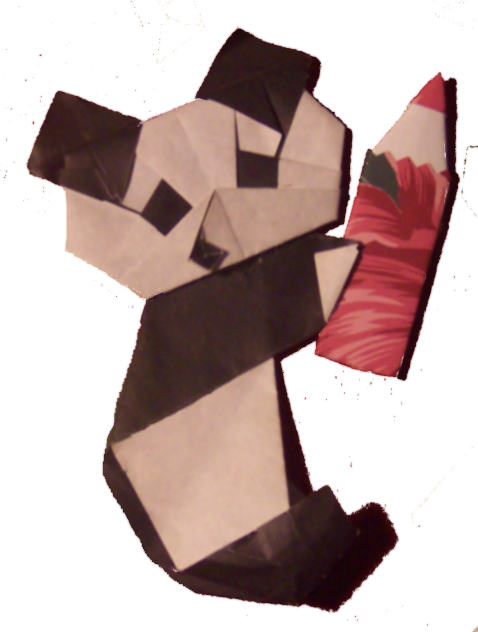 Children will introduce by the step-by-step fun, enrichment and creativity of the fascinating Chinese and Japanese paper folding. 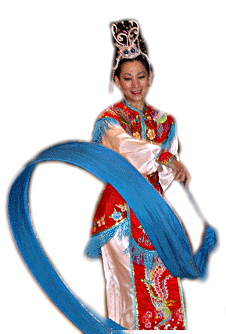 Chinese Ribbon dance began in the Han dynasty (206B.C.-420A.D.). It became very popular in the Tang dynasty (589-907A.D. ), the golden age of Dance and Art in Chinese history. There was a very famous story about a Hsiang Po, a man who saved the Han Emperor from an assassination attempt. Hsiang Po used his sleeve to block the assassin's sword and saved the Emperor’s life. To honor him, the sleeve dance was choreographed, with the dancer holding short ribbons symbolizing Hsiang Po’s sleeve. 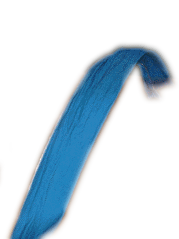 In the Tang dynasty, people started using longer ribbons and studying their motion and movement in space, which resulted in more variations of the ribbons. A long silk ribbon was later attached to a stick and it made the dance more lively and creative. At the heart of ribbon dance’s enduring popularity are the various emotions that moving ribbons can portray -- passionate as a beautiful rainbow, lithesome as a wandering dragon. The dancer is always inspired by the sense of freedom. It truly creates a free spirit and loving heart. Chinese New Year or Spring Festival is the most important of the traditional Chinese holidays, and is celebrated throughout East Asia and North America. In the Gregorian calendar, it falls on different dates each year between January 21 and February 20. The one-week residency project culminates in 45 minute to 1 hour school assemblies featuring student and artist performances of traditional Chinese dance, songs, martial arts, and Chinese yo-yo. Chiao Bin Huang, a notable dancer and teacher, will be present throughout the week to instruct and rehearse students to perform at the assembly and will perform herself. © Copyright 2007-2011, 黃照斌 Chiao Bin Studios.